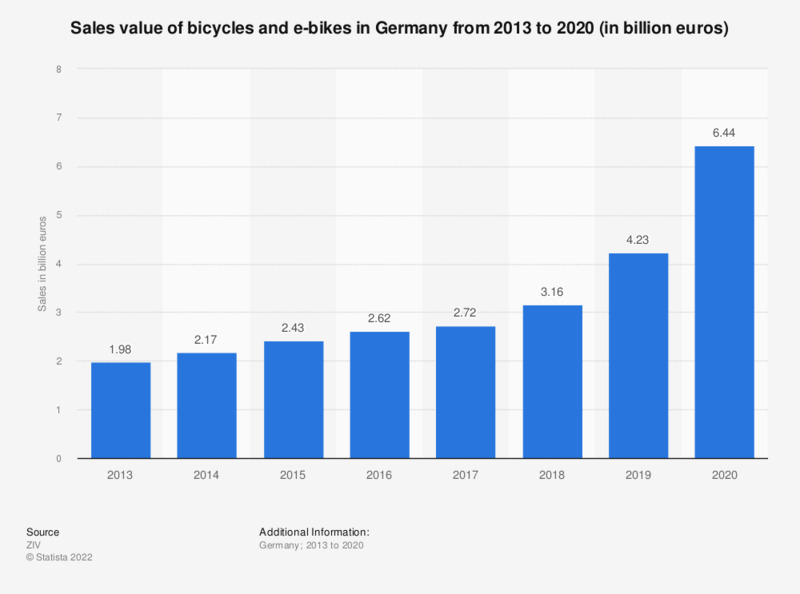 This statistic shows the value of sales of bicycles in Germany from 2000 to 2016. The best year for sales was 2016, where approximately 2.6 billion euros worth of bikes were sold, representing an increase of around 828 million on the year 2000. *Sales to consumers including VAT. **Figure rounded to 2.6 billion by the source. Figures for years 2000 to 2016 are taken from previous edition of the report by the source (page 43).